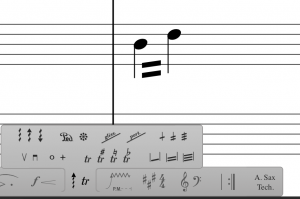 To the contrary, I wasn’t trying to say that your concerns were wrong, or that Notion should not work like you asked, just that its still possible to use Notion in various ways, primarily for notation and its ease of use in scoring. I don’t use Notion as a DAW replacement, since I really don’t use DAW at all. For me Notion is a composition tool first and foremost, and making it create sounds is secondary, but still doable. I think its a bit much to say ‘entire purpose’ here. I mean I agree that it would be good if Notion did what you’re aksing, but personally I find that to be almost impossible. Notion team has done a lot to integrate Presonus into Notion, but to ask Notion basically be a DAW in score form is almost too much to ask. My experience has been that all plugins act differently with Notion, its officially release sounds are basically the only ones that act properly in accordance with its rules. There are workarounds like I said and also you can use DAW etc. to patch together the sound you’re looking for. Since audio recording is so complicated these days, I think its clear that the only way to get a scoring program to play out just like you what would be to hire the players to play it back. For me the ‘entire purpose’ of notion was easily scoring out music without dealing with the insane level of user unfriendliness of Sibelius et al. You can take what was done in Notion and perform it in real life too or share the scores. What you describe is to essentially not use Notion the way it’s designed and to use it as a mediocre DAW instead. 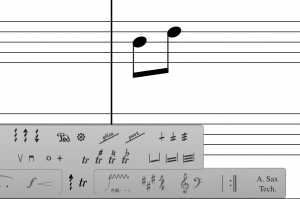 The *entire purpose* of using Notion and what sets it apart as a product is that with rules you can just write music in notation and don’t have to mess with adding in keyswitches or using extra tracks for each articulation, etc. 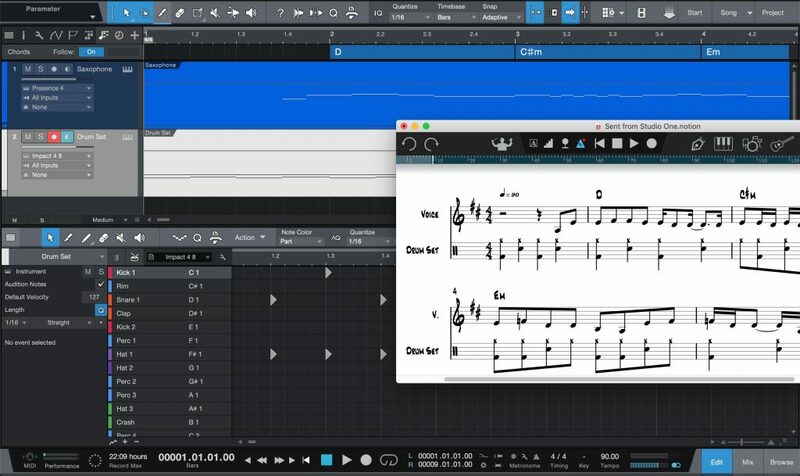 So first, if I have to use a second staff and manually add in extra notes there to change my articulations, I literally may as well be using a DAW because that’s exactly the same thing you do in a DAW and that’s the hassle that I bought Notion to avoid. It’s what makes Notion so great: if I put in a slur or a stacatto, I don’t have to go back and mess with manually changing the instrument patch myself and Notion does it for me. If Notion *can’t* do it for me, or messes up when doing so in a way that means I can’t control something like dynamic when using stacattos or slurs, then Notion has no purpose. Using a second staff for all my instruments? That’s what I did in DAWs before I got Notion. Second, there is no problem with keyswitches. When keyswitching is an option Notion works very well. It’s when a library doesn’t let you use keyswitches that you run into problems, because when you need to do things like channel changes that’s when Notion starts to get a bit unreliable in it’s handling. Nothing is as time consuming as using a DAW though. I’m not entirely sure what your problem eve n is though. I don’t use a MIDI controller at all to use this program, just a combination of scoring and manipulating Kontakt via double-staff whereby the 2nd staff will give directions via keyswitches to the first, to give human articulations to various samples. You can record multiple instances of an instrument if you really need to have them with very different expressions. Overall Notion is still the most usable composition app for me. 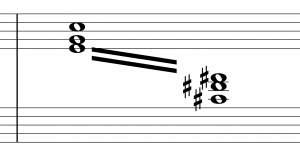 A heads up display for what note and octave you are inserting. (insert..oh you should learn how to read music comment ) no.. Its in sibelius and is invaluable for transposed instruments. Well… finaly… this has been in the top feature requests since i posted it about 3 years ago. Better late than never i guess? 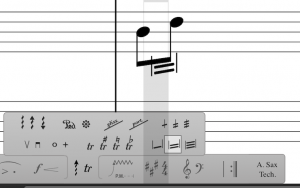 What boggles my mind about Notion is that you cannot even record piano sustain pedal. 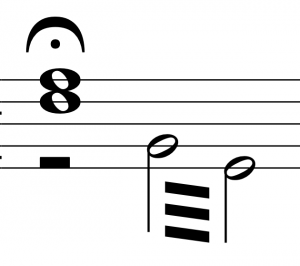 You can record it into a sequencer stave but it disappears when you convert to notation. This has been a feature request for years. An autosave would be fantastic. I get the occasional crash of Notion, quite often when I’m looking for some assistance in the help section(!) and always when I’ve done a significant amount of work on a new score and then… well, there’s nothing is there? I guess I’ll just have to develop my habit to save every five minutes or so manually! The most pressing fix seems to me to be what it has been for years: controller data doesn’t go to the correct channel when a rule has changed the channel. This was partially fixed in one of the version 6 builds, but it only works for techniques. If the channel was changed by an articulation or a slur it is still broken. This makes Notion nearly unusable for playback because hairpins don’t work in these circumstances without implementing a workaround which is almost as time consuming as just using a DAW. I know I’d upgrade in an instant if this were fixed, but have no incentive to do it until then.